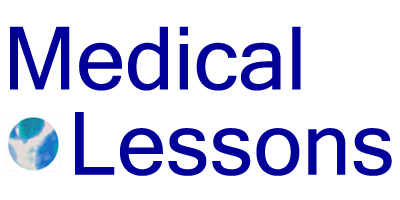 Medical Lessons – A Patient’s Internal Conflict of Interest: to Mention a Symptom, or Not? To complain or “be good” is an apparent dilemma for some patients with serious illness. Yesterday I received an email from a close friend with advanced breast cancer. She’s got a lot of symptoms: her fatigue is so overwhelming she can’t do more than one activity each day. Yesterday, for example, she stayed home all day and did nothing because she was supposed to watch a hockey game in the evening with her teenage son and other family members. Her voice is weak, so much it’s hard to talk on the phone. She has difficulty writing, in the manual sense – meaning she can’t quite use her right arm and hand properly. There are more than a few possible medical explanations for why a person who’s receiving breast cancer therapy might not be able to use her right arm. But that’s not the point of today’s lesson. What’s noteworthy here is that the patient – an educated, thoughtful woman who’s in what should be the middle of her life and is trying as best she can to survive, doesn’t think these symptoms are worth mentioning. Her doctor is an unusually caring and kind oncologist, not an intimidating sort. The problem here is the patient doesn’t want to bother her doctor with more details about how she’s been feeling, so it’s hard to fault the physician in this case. You might say in an ideal world the doctor or a nurse or someone would be screening each patient more fully, completely, asking them every question imaginable about every body part. Then again, what kind of patient would have time for all that at say, weekly treatments? I don’t blame my friend, either, although I’ve encouraged her to speak up about her concerns. As things stand, most data on medication toxicity is reported by physicians and not by patients directly, an information filtering system which may lessen our knowledge of drugs’ effects. This problem, formally considered a few months ago in a NEJM perspective – The Missing Voice of Patients in Drug-Safety Reporting, reflects some physicians’ tendencies to dismiss or minimize patients’ symptoms and, in the context of clinical trials, can have adverse consequences in terms of our understanding of treatment toxicities and, ultimately, clinical outcomes that might otherwise be improved. 5. Wanting to be perceived as “good” or “strong” – how can you complain about your handwriting if you want your physician (or spouse or lover or kids) to think you’re tough as nails? Why this matters is because many patients’ treatable symptoms go under-reported. And because if patients don’t tell their doctors what’s wrong, it’s unlikely their physicians will take note. The purpose of medical care is to make people feel better. Patients, speak up! Good stuff! I agree that we need to speak up, and like many women I’ve been guilty of most if not all the things on your list. I’ve had to learn that the things that seem trivial, or big (thanks to internet self-diagnosing), or downright embarrassing to me are none of the above to my doctors. I went through treatment for stage 0 DCIS so I got a front row seat to a lot of this stuff for the first time. I went from yearly to weekly communicating and learned a lot. I do think sometimes you have to will yourself to be comfortable or pretend you’re comfortable when you’re not. Here’s another perspective on why patients may not come forward with distressing symptoms. I’m a heart attack survivor who was misdiagnosed with acid reflux in the E.R. and sent home in mid-heart attack, despite presenting with symptoms of crushing chest pain, nausea, sweating and pain radiating down my left arm. I left feeling profoundly embarrassed and apologetic for having made a fuss “over nothing” and wasting five hours of the very valuable time of the E.R. staff – while truly sick people had been lined up in the waiting room! This was followed by two full weeks of increasingly debilitating symptoms – but hey! at least I knew it wasn’t my heart, right? After all, a man with the letters M.D. after his name had told me quite clearly: “It is NOT your heart!” I am one of those ‘thoughtful, articulate’ patients you describe – yet there was NO WAY I was going to repeat that humiliating and dismissive experience in the E.R. – until the pain was so unbearable I had no choice but to return, this time to a revised Dx of “significant heart disease” – and was taken immediately from the E.R. to the O.R. We know that women are under-diagnosed for heart disease (seven times more likely to be misdiagnosed than male heart attack patients are) and then we are under-treated even when we are appropriately diagnosed. Our outcomes are more deadly compared to men’s outcomes, too.